Automatic working pressure systems build-up with centrifugal or self-priming electropumps + VSD EPIC. Each set, ready for the installation, is made by an electropump, a pre-rated and adjustable pressure switch, pressure gauge, connector (and eventually a flexible hose with s.s. sheath), membrane tank and cable with plug. 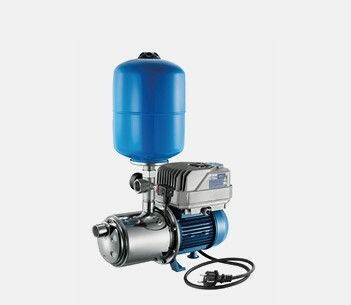 The set specification and perfor-mances are related to the adapted electropump, tank capacity and pressure switch rating.